Our client combines the characteristics of winter outwear with everyday metropolitan life. The well-known client has repositioned its brand with gradual development of its range of products into categories that complement its historical business. Dematerialize and digitize the entire consent collection process for privacy management. Digitize and unify the after-sales management process. Have visibility over the warehouse stocks of points of sale and regional stores in real time. Have mobile cash register systems in addition to physical cash registers in order to avoid interruption of the sales process. 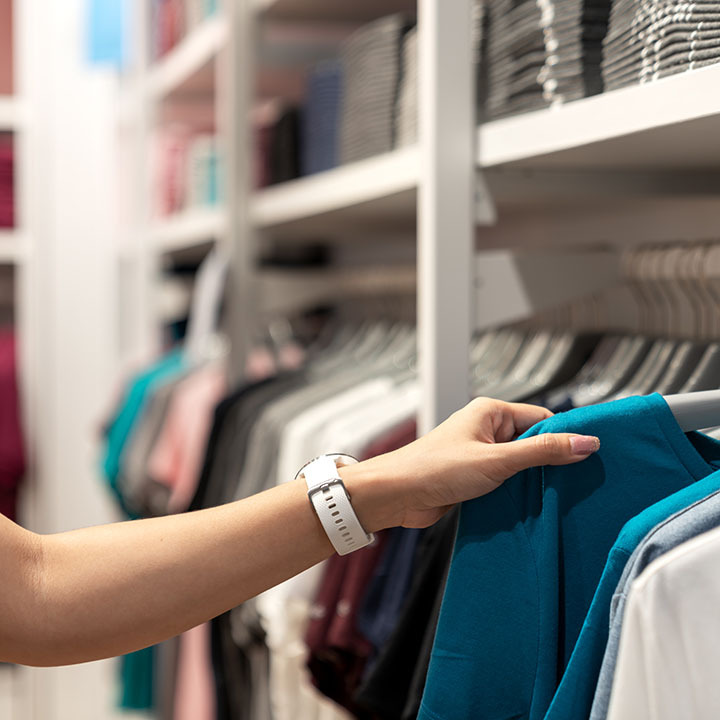 Integrate management of RFID tags into the purchasing process. Integrate management of the new "Genius" program dedicated to its customers. Finally, after a first phase, it was decided to expand the basic functionality of the solution, implementing a set of new application components dedicated to supporting vertical business needs; at the same time, however, these would act as enablers for providing, within an integrated process, a user experience that makes the solution simple, intuitive and immediately usable for store users. - Integrate POS systems (Cegid) in real time, for both the inventory and order part in points of sale. - Integrate the RFID tag reading systems for garment product and barcode identification. - Dematerialize and simplify management processes of privacy and after-sales, for a total of 400,000 documents/year. - Centralize the main tools for sales personnel in one application.